It's that beautiful time of year again. Nature reveals it's golden glow, the turkey's in the oven, and the family gathers for dinner. 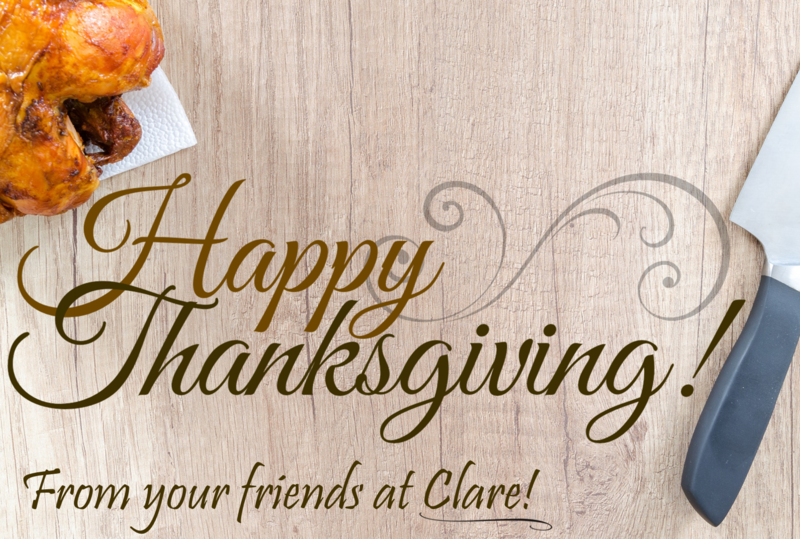 This year, Clare wishes all of our friends, families, coworkers and valued customers a wonderful Thanksgiving! As a reminder, don't forget to turn your scale back 10 pounds this week!